Saba offers a wide range of products and services at incredibly low prices in Australia. These Saba promo codes expire soon, so don’t forget to bookmark this page now. New Saba discount: Shop in the mid season sale at Saba for knitwear, shoes and accessories and get 30% discount on your purchase. Saba free delivery offer: Shop for knitwear, shoes and dresses for men & women worth $200 or more at Saba and receive free delivery. Exclusive Saba voucher codes: Enjoy a huge discount of 30% on ordering Menswear & Men's Accessories at Saba. Latest Saba promo code: Grab womenswear & Accessories from Saba and get a discount of 20%. Limited time Saba coupon: Make a smart statement with the classy Men's collection along with a great offer of 'Buy 2 for $199'. Seasonal Saba deal & sale: Take advantage of this great offer from Saba and save $20 when you purchase any Men's full price tee and polos. 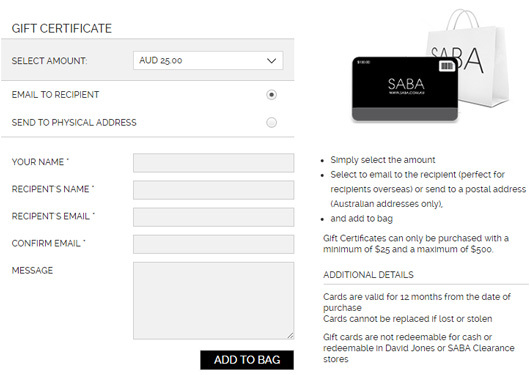 Saba is a clothing and accessories retailer that prides itself on creating a fresh look in Australian fashion. Thanks to exceptional tailoring and a modern, simplistic style. Saba was founded in 1965 on the principles of innovation and involvement and the brand feels strongly connected to the culture of the cities and architecture of its home of Australia. The Saba Style collection offers shoppers a special touch and the expertise of the Saba staff who hand pick items to be included. This section also offers users a behind the scenes experience and access to lookbooks in both women and men’s fashion. Another curated section at Saba is the New Arrivals area. This section is broken down into Women, Men, and Accessories sections. The Accessories section is further broken down into a Women and Men’s area. The brand sources special, high quality textiles and fabrications from several locations around the world. This is called Saba Provenance. The site acquires and features fabrics and shoes from Portugal, Italian wool blends made on vintage looms, fabric from Turkey, jacquards from France, and more. Also, you can shop for the latest collection of dresses, tops, jeans, jumpsuits and much more from well known fashion brands using coupons offered at clothing & accessories. It’s the End of Season Sale at Saba which means up to 50% off select styles! There is currently a 30% off sale on men’s coats, jackets and knitwear. This only applies to full price items. All orders over $200.00 qualify for free domestic shipping inside Australia. By joining the VIP program, shoppers can take an extra 10% off all full price purchases. There are some restrictions to saving in this program, so shoppers are encouraged to read all about it at the website. If you are a frequent shopper, this loyalty program can save you money consistently! Shop the store and find the items you’d like to purchase. Add them to your bag. Click on your shopping bag to view your order. While reviewing the shopping bag window, you will see a field to place your code in. It’s titled, Enter Promo Code. Paste in the coupon code you have there, and apply it. Continue with your checkout and reap the benefits of your discount! The Saba Style Channel on YouTube is a little sparce on content, but a good place to watch for information about clothing and promotions on the website. This video above, the most popular on the channel, gives a sneak peek of the Autumn collection. The video details some of the latest trends and special and important pieces that should be a part of your wardrobe. Gift cards can be purchased at Saba starting at $25.00 and increase from there to $500.00. They are egift cards and will be emailed to the address of your choice. You can buy the finest collection of both international and local brand jeans, t-shirts, shirts, tops and more by using coupon codes available at Glue Store and Jeanswest. Saba delivers via standard shipping, generally 3-5 business days after order processing. Customers who live in rural areas may experience longer shipping times. Delivery will not be made to PO boxes. 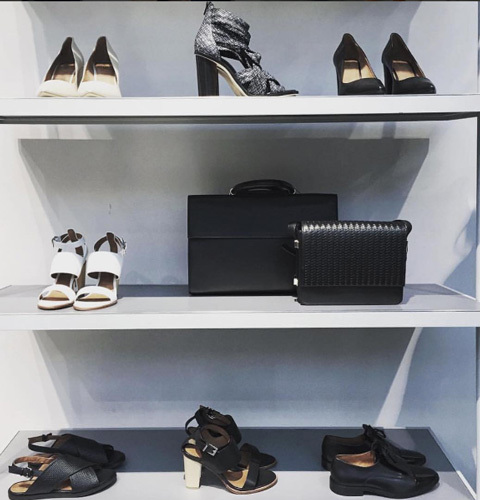 Subscribe to the Styletread.com.au newsletter and receive free delivery on order over $65 plus $10 vouchers for your next online purchase. If returns are necessary, a quick visit to the return portal will illustrate the three available return options and allow for the processing of the return. Returned items must be in original, unworn condition and must be returned within 21 days of the order date. Swimwear and intimates cannot be accepted as a return for hygiene reasons. Order stylish and trendy sunglasses made up of famous brands using a Sunglass Hut coupon code and get free home delivery, return and fitting service. For more savings, check out Shoebuy.com and get free shipping on your purchase! Get ready for striking discounts on shoes, clothing and more.